Collecting data about bees will help experts understand how healthy they are. Behind a fire station in Stockport (UK), some bees are about to get connected. An Australian scientist, leading a global bee monitoring project, is fitting them with a chip that will allow them to be tracked. Now the bees will be counted in and out of the hive. "So now we understand more about their behaviour – when they leave the hive, how long they stay away and when they return, who they are travelling with. We are identifying individual insects here which we have not been able to do in the past." The tech company Cisco has recruited beekeepers across Greater Manchester to take part in the programme. One hope is that the data will give greater understanding of what keeps bees healthy. "It's very, very difficult to look inside the hive and know what's happening with an individual bee, so by tagging an individual bee you get to know how long it lives." Over the coming months thousands of them will be at work, not just making honey but providing data which could make Manchester a healthier and smarter city. True. 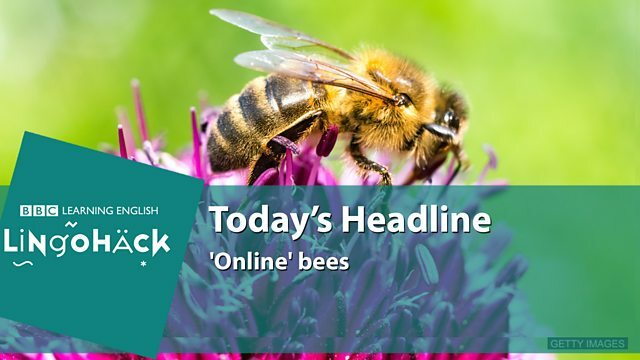 It is hoped that the data will give greater understanding of what keeps bees healthy. A bee could be as smart as your modern satellite navigation system! It can find the perfect flower to tap for nectar and pollen and pass on the exact location to its colleagues. It uses the angle of the sun, counting landmarks and electrical fields.